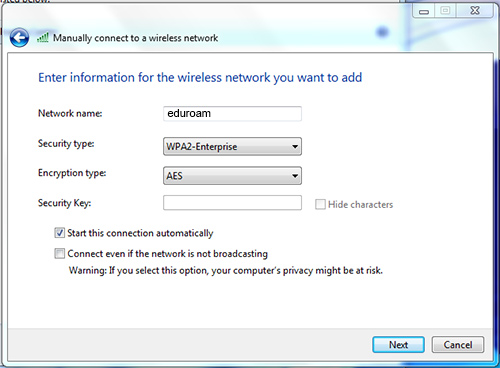 Choose eduroam from your list of discovered Wi-Fi networks and authenticate using your full NSCAD email address and password. 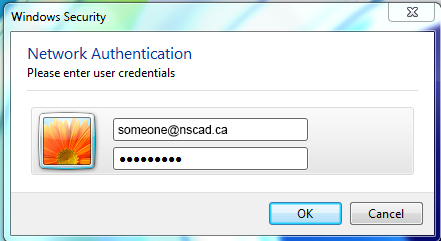 The first time you connect, you might get a Windows Security Alert warning that “The connection attempt could not be completed.” This is in reference to the security certificate issued by Harris-AD.nscad.ns.ca. “Harris-AD” is NSCAD’s authentication server. To ensure that your session is encrypted, you can click “view details” and then click Connect to proceed. 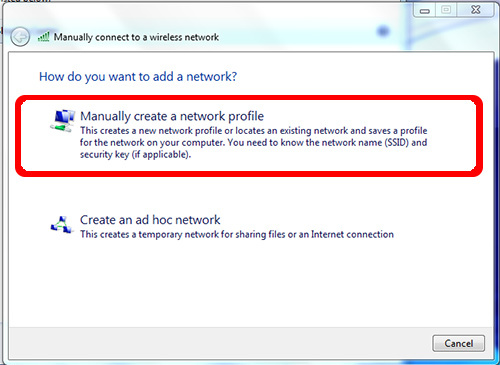 Windows 7 requires some preliminary, manual network configuration before you can join secure Wi-Fi networks. 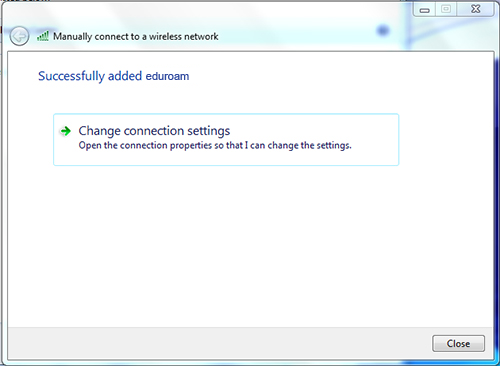 This is not unique to the eduroam network. ⇒ “Specify authentication mode” is checked. ⇒ The drop-down list below “Specify authentication mode” shows “User authentication”. 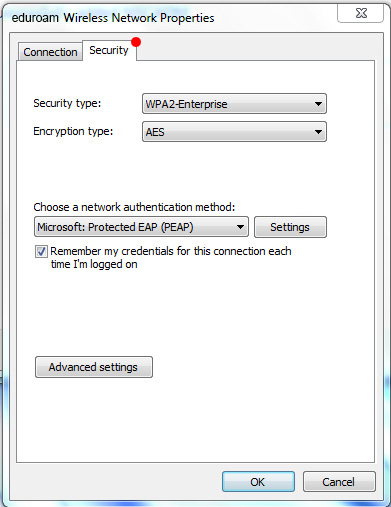 ⇒ “Enable single sign on for this network” is checked. ⇒ The radio button to the left of “Perform immediately after user logon” is selected. ⇒ The blank to the right of “Maximum delay (seconds):” shows 10. 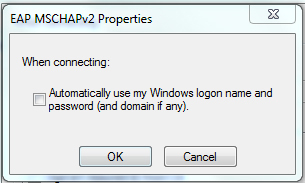 ⇒ “Allow additional dialogs to be displayed during single sign on” is checked. 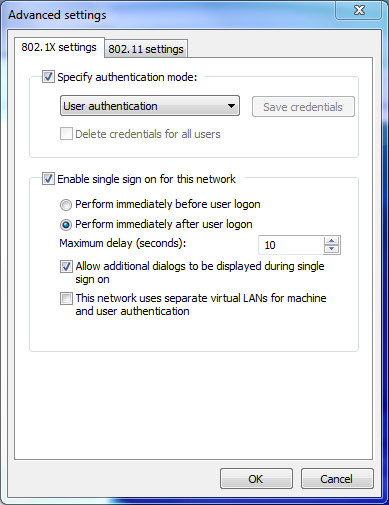 ⇒ “This network uses separate virtual LANs for machine and user authentication” is not checked. • Down at the bottom of your Windows screen (the taskbar), you should see a prompt for additional information. Click on the balloon and a sign-in window will appear. • Enter your full NSCAD email address and your password. Click OK and you should be connected to the wireless network in a few seconds.